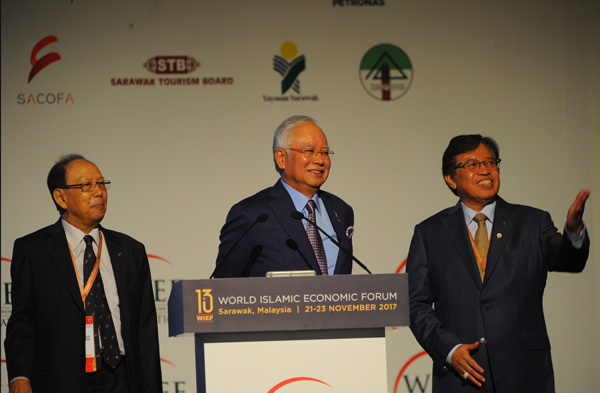 Sarawak, Malaysia, 21 November: Over 2,500 participants including world leaders and captains of industry gathered at the 13th edition of World Islamic Economic Forum (WIEF) today. The Forum was officiated by the Prime Minister of Malaysia, The Honourable Datuk Patinggi Mohd Najib Tun Abdul Razak. Themed ‘Disruptive Change: Impact and Challenges’, the Forum brings industry leaders and academic experts together to address the impact and challenges of disruptive changes across the breadth of industries, technology and politics for a sustainable businesses landscape. Furthermore, a total of 16 memoranda of understanding (MoU) amounting to an estimated value of USD$2.5billion were sealed at the 13th WIEF, of which nine were with international organisations. The MoUs exchanged this year mark one of the largest in the history of the WIEF. The agreements comprised organisations within the technology, halal food and energy sectors to name a few. In the last five years, the WIEF has facilitated trade deals from diverse industry sectors among both Muslim and non-Muslim nations amounting to some US$13 billion. 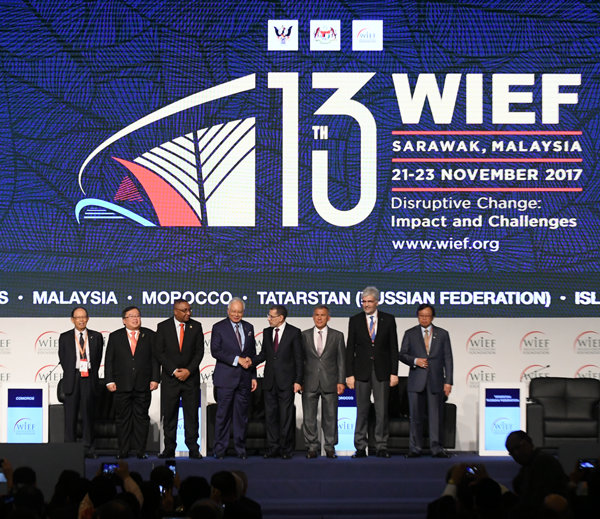 The forum was attended by The Honourable Datuk Patinggi Mohd Najib Tun Abdul Razak, the Prime Minister of Malaysia and the Patron of WIEF Foundation, The Honourable Datuk Patinggi (Dr.) Abang Haji Abdul Rahman Zohari Tun Datuk Abang Haji Openg, Chief Minister of Sarawak, H.E.Dr Saad Eddine El Othmani, Head of Government, Kingdom of Morocco, H.E. Djaffar Ahmed Said Hassani, Vice President of the Union of Comoros, H.E. Rustam Nurgaliyevich Minnikhanov, President, Republic of Tatarstan of the Russian Federation, H.E. Prof. Bambang Permadi Soemantri Brodjonegoro, Minister of National Development Planning and, Special Representative of H.E. President Joko Widodo of Indonesia, H.E. 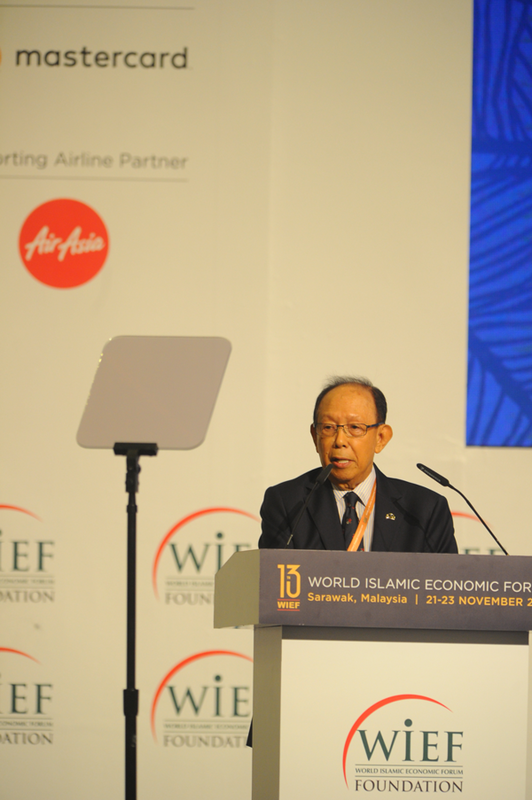 Dr. Mohamed Jouini, Vice President, Islamic Development Bank and The Honourable Tun Musa Hitam, Chairman of WIEF Foundation. For more information on WIEF, please visit www.wief.org. The 13th World Islamic Economic Forum is held at Borneo Convention Centre, Kuching, Sarawak, Malaysia from 21 – 23 November 2017.